We can repair anything pertaining to the roof or any of its components. Typically, our repair jobs stem from a leak or missing shingles. Leaks usually come from your flashing or pipe boots, while missing shingles can result from high winds or any number of other factors. While these are our main repair jobs, we are happy to make any roof-related repair. What size Roof Repairs do you perform? Our repairs range from the very small to the larger in scope and size. 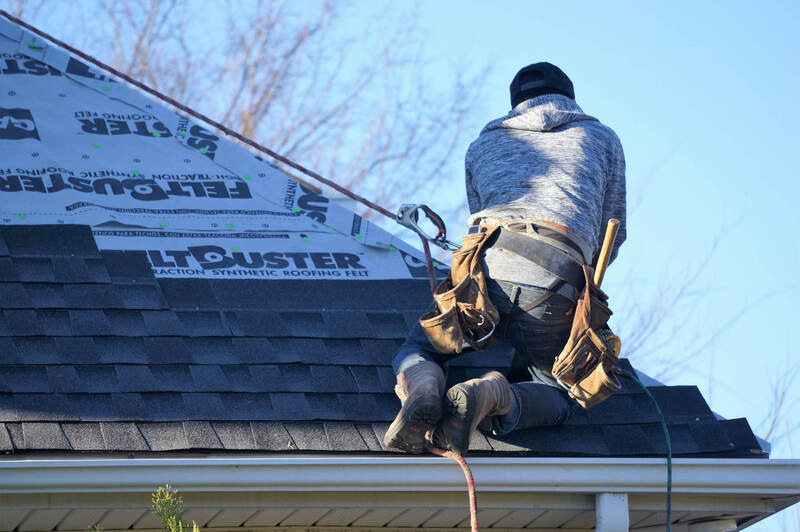 We can do anything from a relatively simple shingle repair in which we will take the shingle out and install a new shingle to more complex repairs like redoing flashings, chimneys, or sometimes adding a cricket to divert the water from the back side of the chimney. We do many repairs with flashings around chimneys, especially around walls. We also sometimes replace half a slope rather than a full roof— no job is too small. Occasionally, we’ll repair pipe boots, which are very common locations for leaks. After 8-10 years, it’s common for the pipe boot to begin to show dry rot. We will also do repairs on ventilation. When roofs don’t have sufficient ventilation, we may be asked to add in a box vent or a ridge vent.